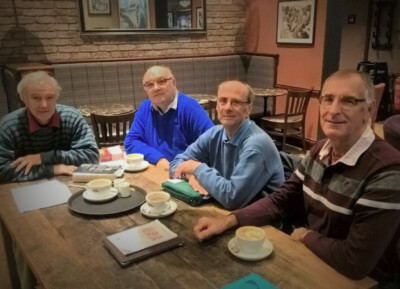 "They broke bread in their homes and ate together with glad and sincere hearts..."
MEC have a number of Small Groups spread across the wider Malvern area, meaning that there should be a group you can be a part of. Christianity is much like a team sport - best done together! We therefore encourage you to get connected by plugging in to a Small Group. Small Groups are where we share life together, build authentic relationships, grow in faith, and do ministry together. It's a great place to meet new people, make new friends, to grow and to have fun together. It is an investment that could change your life! The Link-Up Small Group is run by Alan and Patricia and takes place on Wednesday mornings at 10.30am. The Malvern Spa Group meets on Tuesday evenings at 8pm. It is run by David Gleaves. The Barnards Green Small Group meets on Tuesday evenings at 8pm. The group is run by Chris. Meets at the Mitchell's home on a Wednesday evening at 8pm. Carol Greenhalgh heads up the Daytime Ladies Group which meets on Thursday mornings at 10am at various venues throughout Malvern. 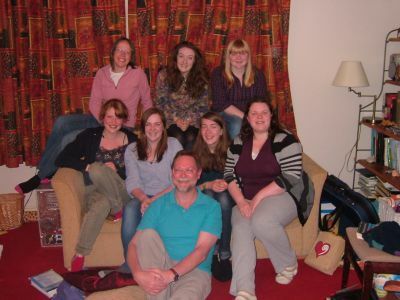 The Youth and Young Adults group is run by John and Pauline and takes place on Monday evenings from 7.15 - 9.00pm.